Suzuki Karimun Wagon R is made by Suzuki in 2013 to replace the first generation of Suzuki Karimun launched in 1999. 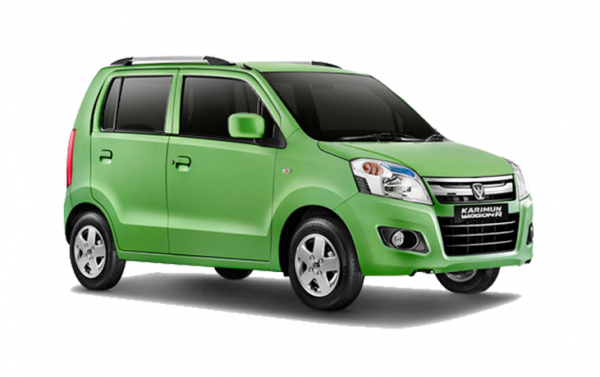 The R means Recreation and Karimun Wagon R is one of the Low Cost Green Car (LCGC). Similar to Suzuki Karimun Estilo, this car is powered with a 1000 cc engine, which will have the same feature and power and acceleration. Very convenient to travel within the city or travelling uphill. Fuel consumption is very economical it won’t break your gasoline budget while your stay in Bali. Suzuki karimun Estilo R have 4 person capacity with decent space of baggage area. The rear seat can also be flipped forward for larger luggage space..